This site serves to document quite a few of my geeky endeavors. From Minecraft Creeper Marshmallows, to Zelda Printed Baby blankets, to Mario Boxes and more. So, it probably comes as no surprise that I’m also a big Doctor Who fan. And what do I do with things I love? I make crafts out of them of course! 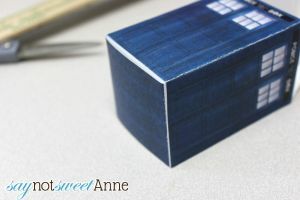 One of my favorite easy printables are little gift boxes. I’ve done them a couple of times and I love using them for candies and other small trinkets. 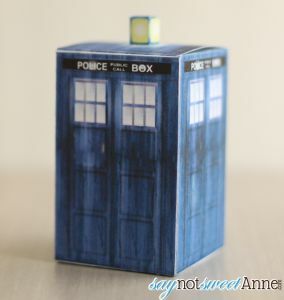 Being in a special box can really elevate something like chocolate to nerd-chocolate level. 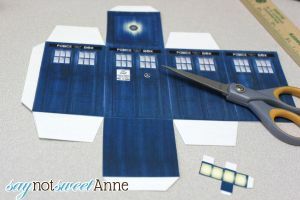 With this project, I knew I had to make a TARDIS. Now, I’m sure some of you know that TARDIS has changes in look over the many years that it has been the center of Doctor Who’s transportation universe. This box is circa 10th doctor. Why? Because I said so. 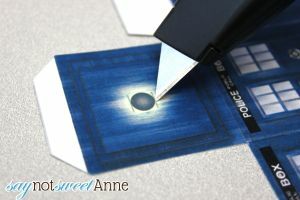 Print the PDF onto the card stock. 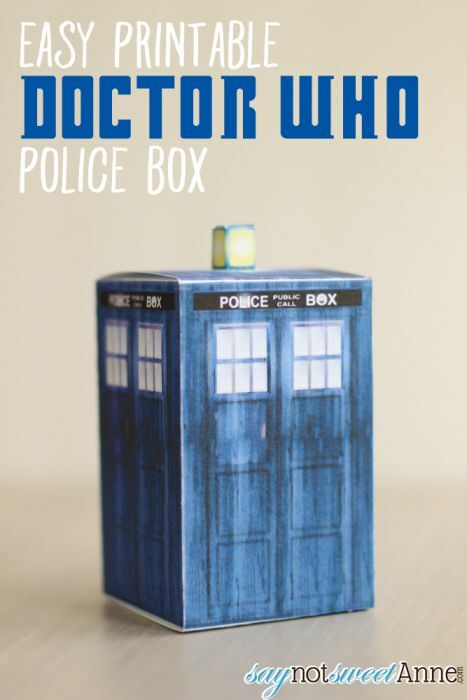 Cut out the TARDIS and the little light. 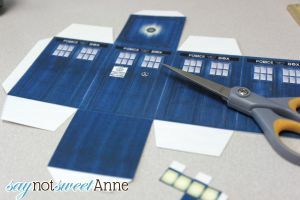 Use a knife to cut two slits in the top of the TARDIS box. Score on the lines between panels. 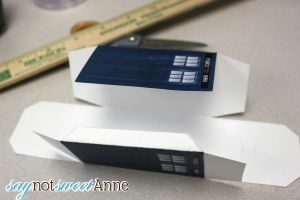 (I like to use a butter knife with a ruler to keep i t straight) Scoring will definitely make a prettier box. 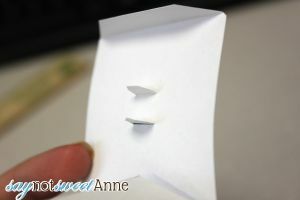 Fold the box and use glue or tape to secure the opposite sides. 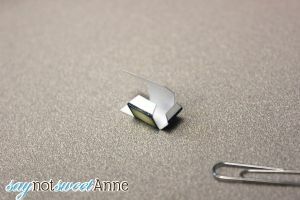 Fold down the bottom of the box and tape or glue. Score and fold the light in a similar fashion. Glue the opposite sides. DO NOT fold down the bottom tabs. Insert the light into the slits you cut in step 2. Done! 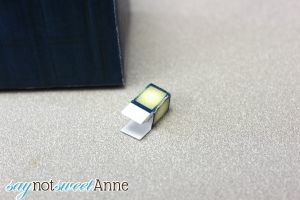 If you want, you can glue the light on top, or tape/glue the box shut. I like to keep it easy-open. My friend is getting a Dr Who surprise 50th birthday. 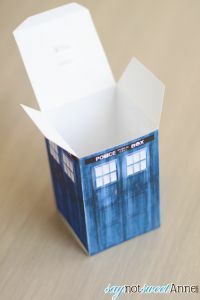 I am making cake pop favors and looking for Dr Who calendar pop boxes. Do you think these would work for a single cake pop? They’d definitely fit (cake part down) but you might have to trip the sticks. Let me know how they turn out!